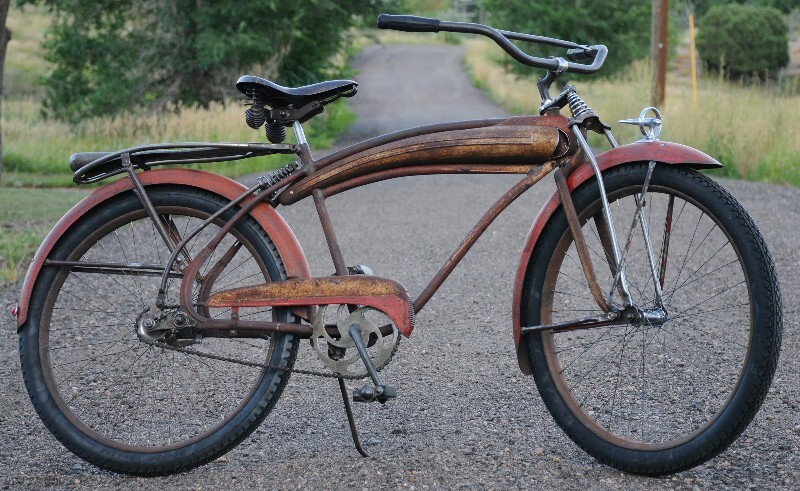 This Vintage Prewar Ballooner Beast is a Huffman made 1940 Twin Flex Fat Tire Cruiser Bike. 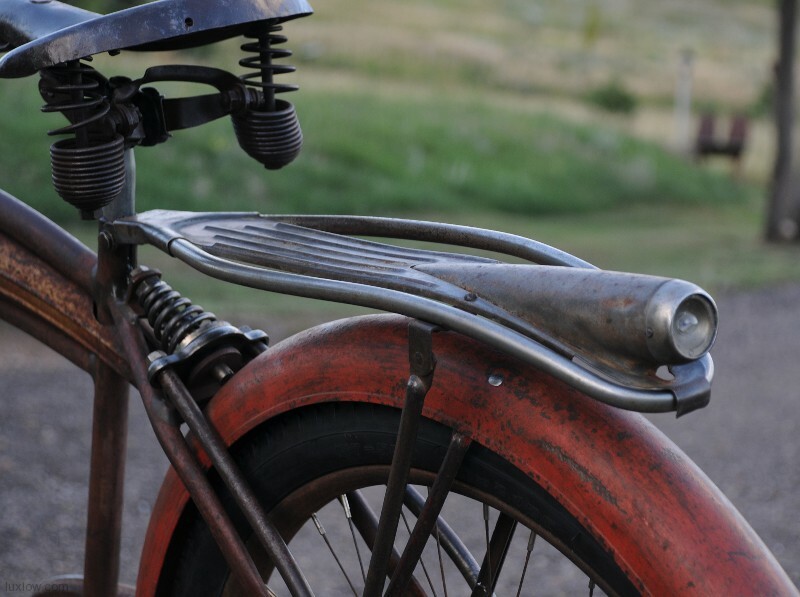 1940 was the Last Year of the Twin Flex Dual Suspension Frame & Fork and the first year for two years for the Amazing Long Tank. 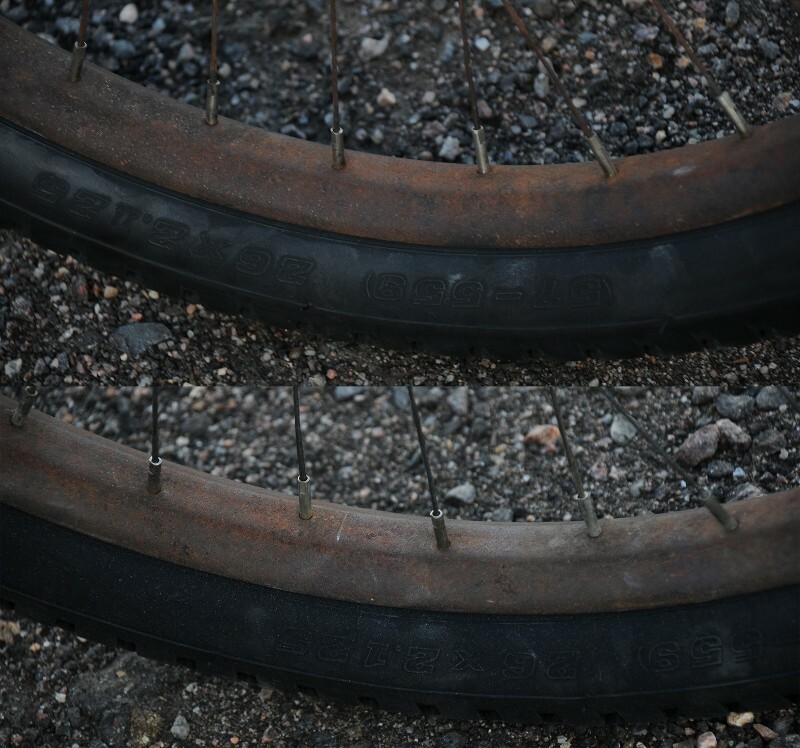 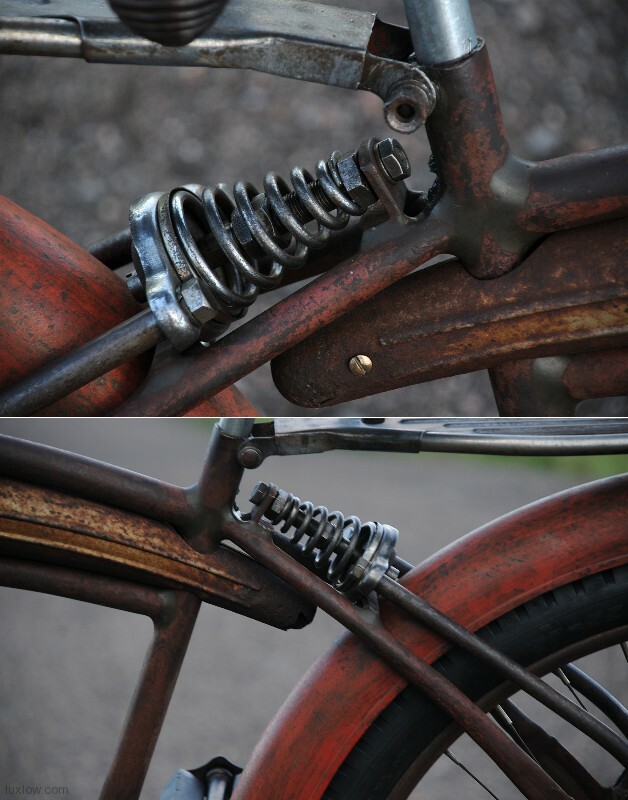 The Twin Flex was Huffmans Top of the line, although it was an innovative bike the first release was flawed. 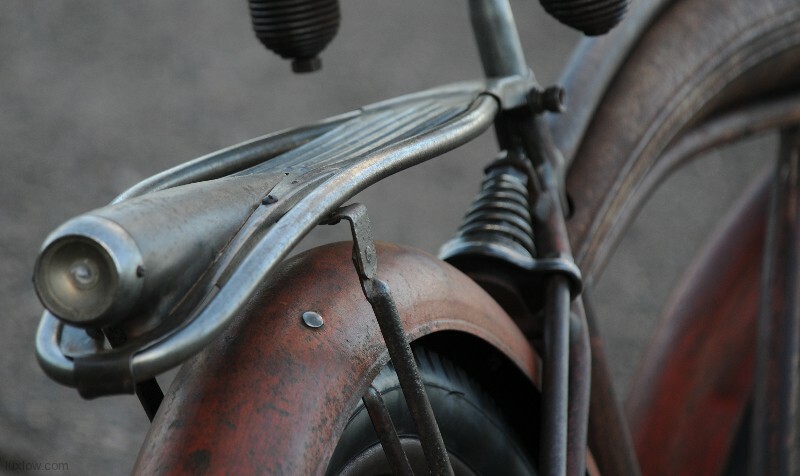 The first Release was called the “Death Bike” and after a rocky start the Twin Flex Line was retooled and released, Unfortunately the Twin Flex Line Suffered Popularity Due to it’s Rocky Start. 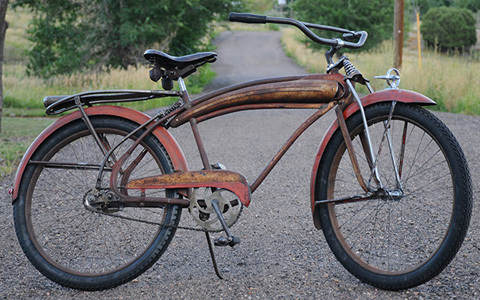 This 1940 Long Tank Twin-Flex is Quite Rare and is a prime example of a bike released right before World War 2. 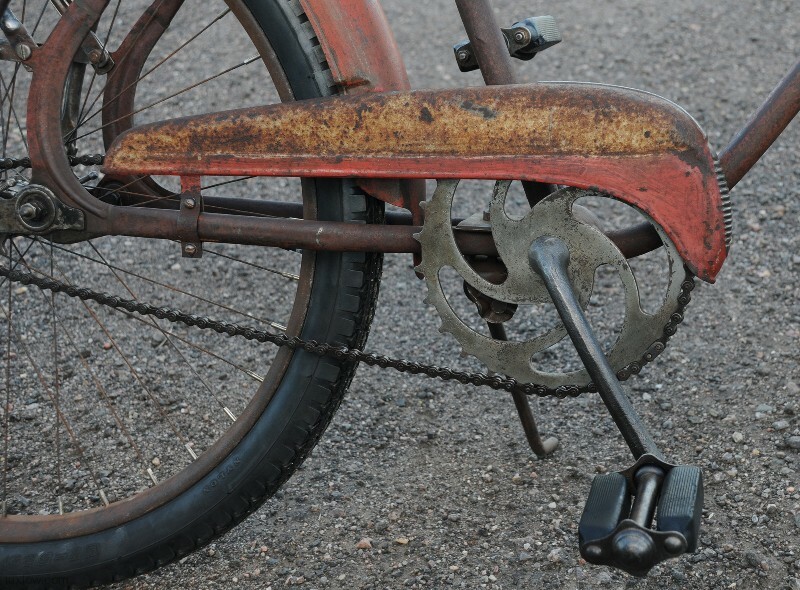 Bicycles in the Years 1940 and 1941 before the war experienced a large boom and were all built to out do each other and capture the consumers eye. 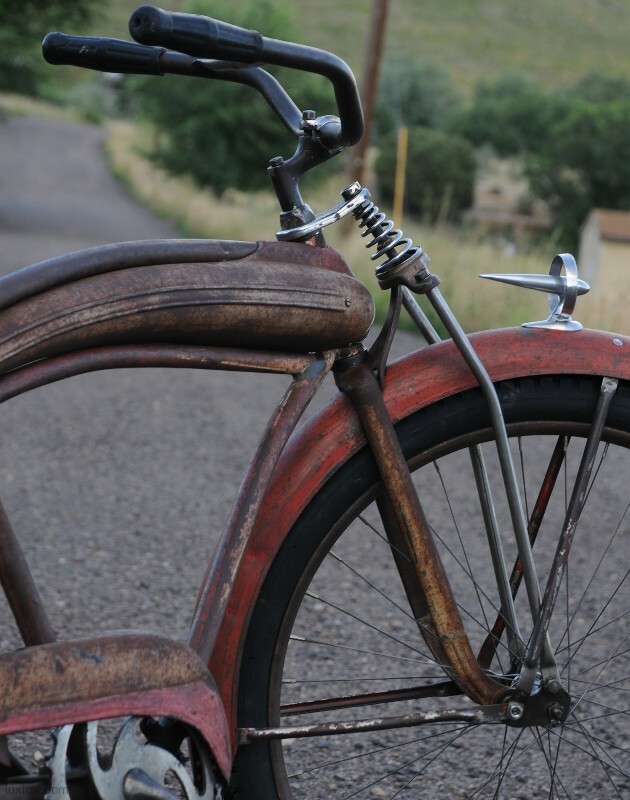 You will find many Amazing Bicycles for this period that do not reappear after the war time efforts. 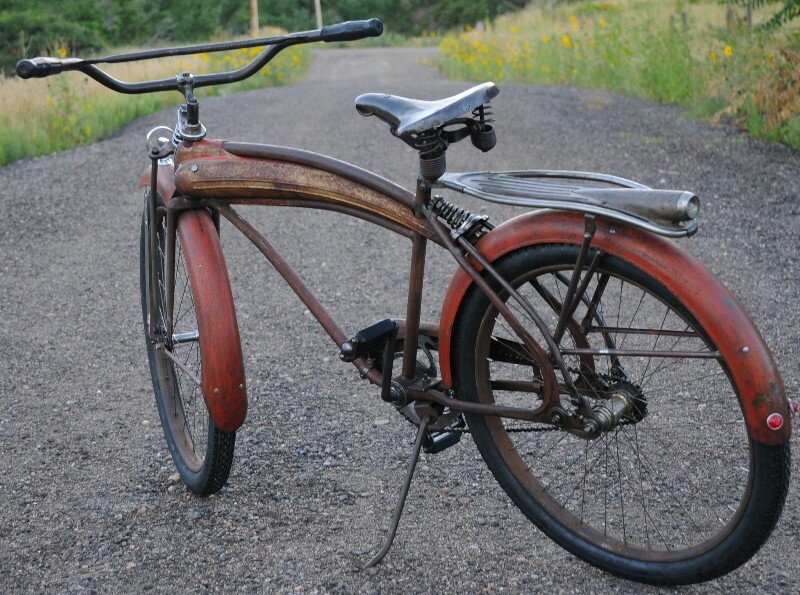 This 1940 Twin Flex is Patina Restored and Rides Nice, Although it is a Huffman and you will not sneak up on any body on this Squeaky Beast. 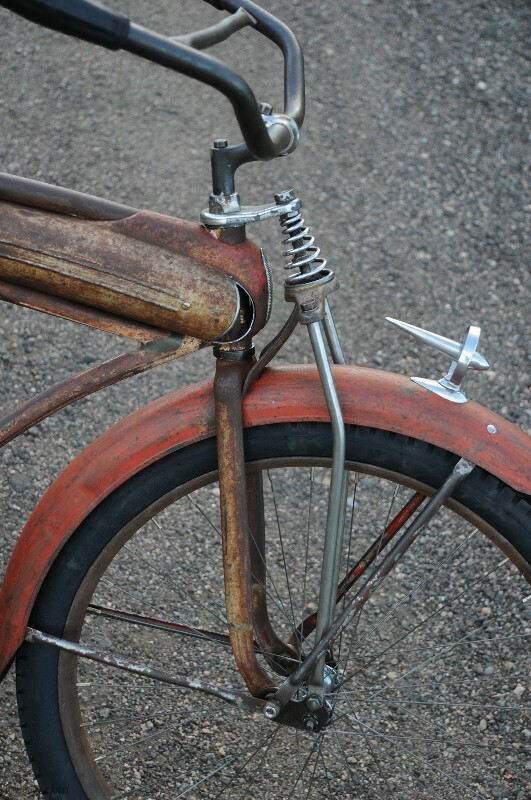 This is a 1940 Antique Twin Flex Bicycle is Blessed with Aged Patina and Fully Rebuilt. 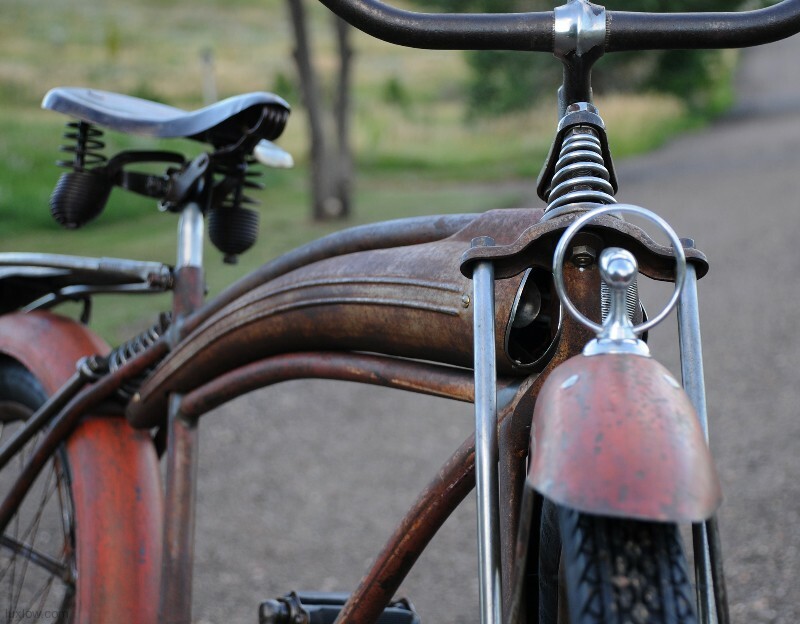 The Bike has the Huffman Twin Flex Suspension Fork and Frame, Amazing Long Tank that wraps around the head tube, has a front grill, built in Dual headlights, and horn. 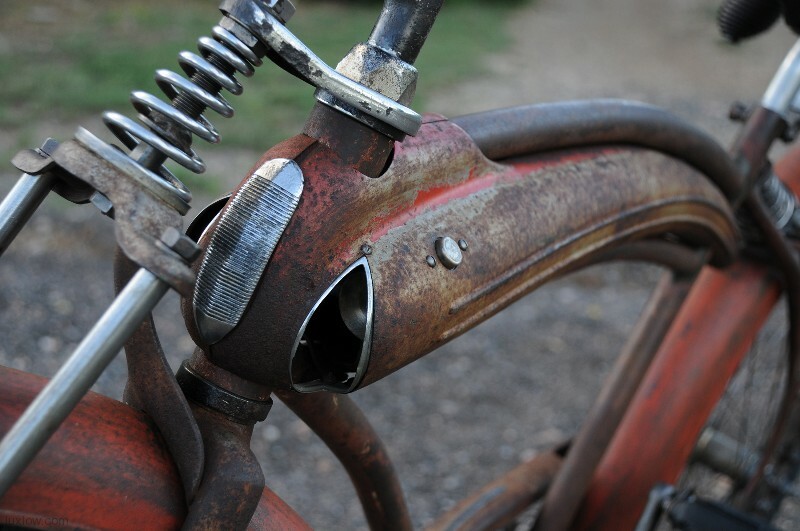 Lights and Horn work, Lights have been retro fitted with high efficiency leds. 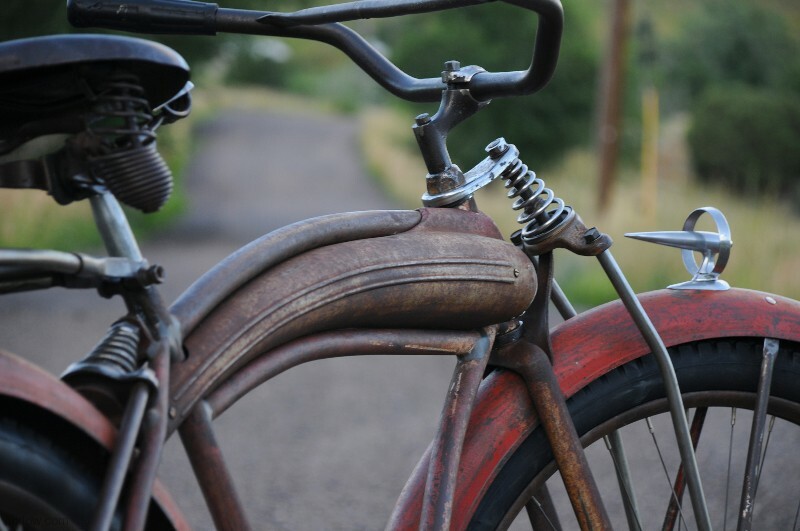 The Bike has Deep Huffman Ballooner Fenders, Chain Guard, Cross braced Handle Bars, and Huffman Rack. 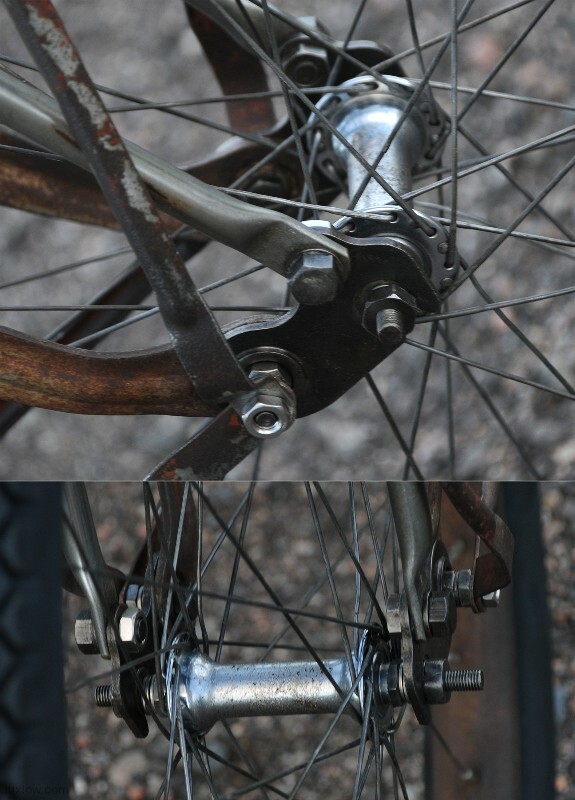 There are No Reproduction Parts on this bike although it was assembled from 2 Huffman Bikes, The rack and rear fender braces were correctly modified for the Twin Flex Frame. 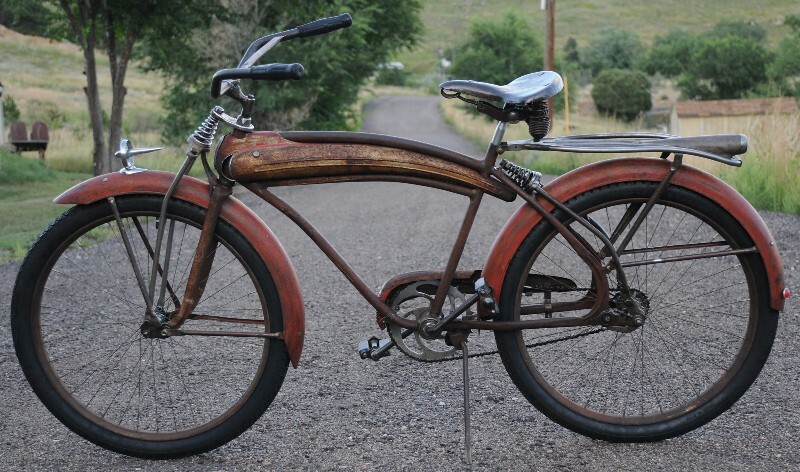 This is a Full size adult Mens Bike with Rebuilt and Trued Prewar Drop Center Ballooner Wheels and New 26″ x 2.125″ Good Year Pattern Blackwall Tires. 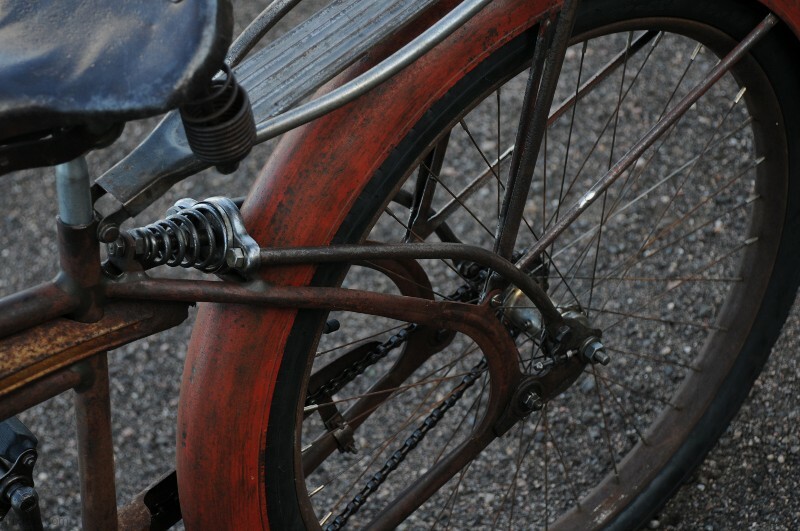 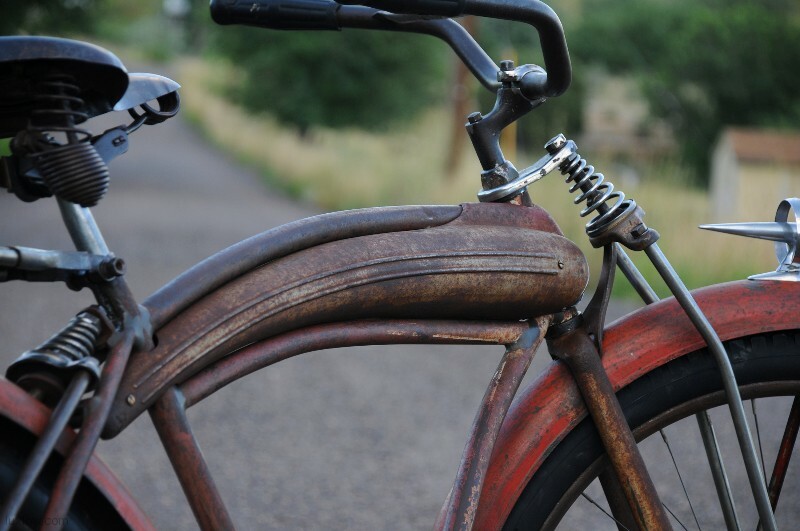 The Bike is Patina Restored, Rides Good, has Great Patina, and much Style. 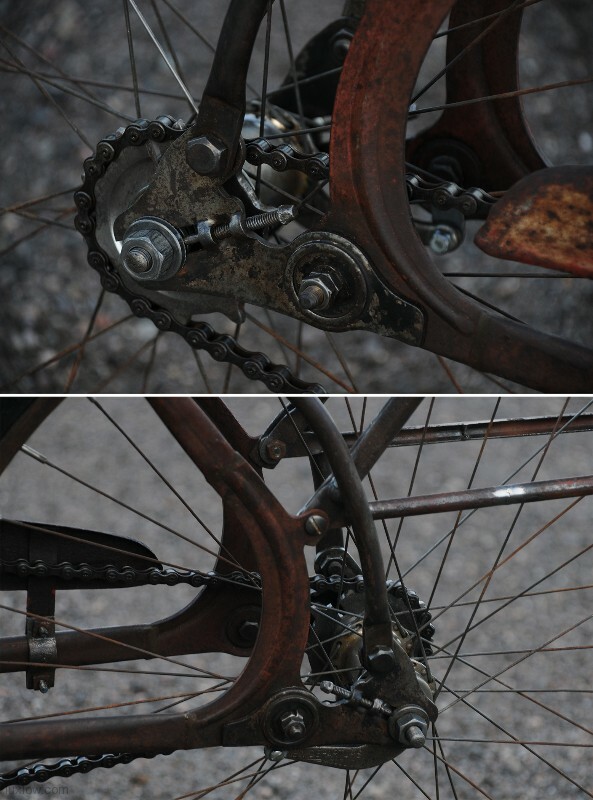 This is an Extremely Rare Bike and Full Restoration did cross my mind although it made me extremely tired thinking about the work it needed. 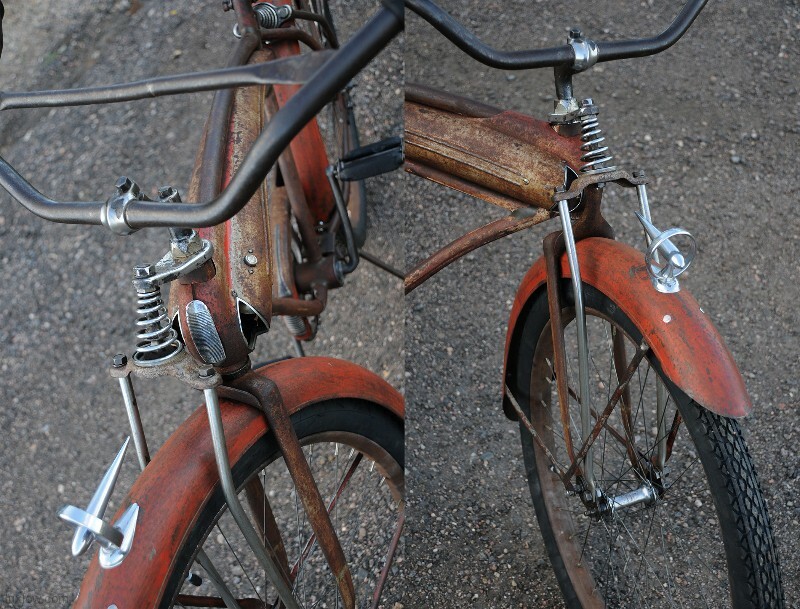 Before Patina Restore I didn’t think it was a candidate for restoration but now I feel is is a good core should this find the wonderful Patina is not doing it for you. 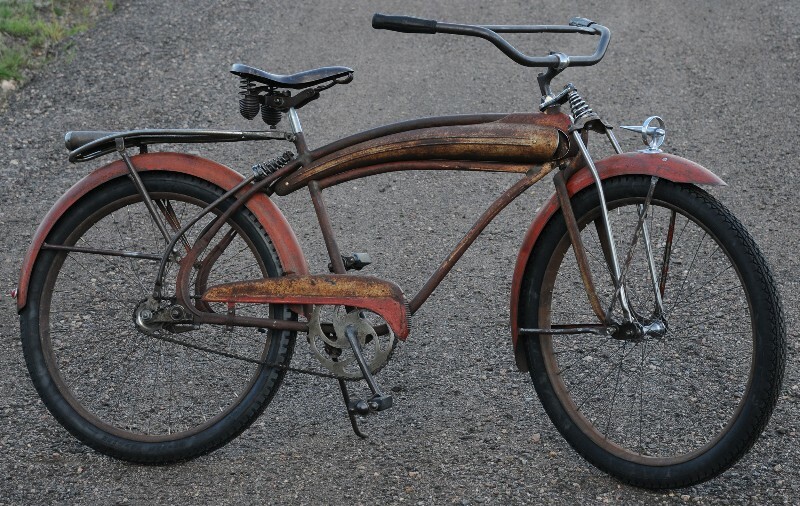 This is one of My Favorite Bikes and it is for sale although, I am not putting a price on it, Your welcome to make offers, I will reply to offers I will consider, FYI I Value this more than my 1939 Zep. 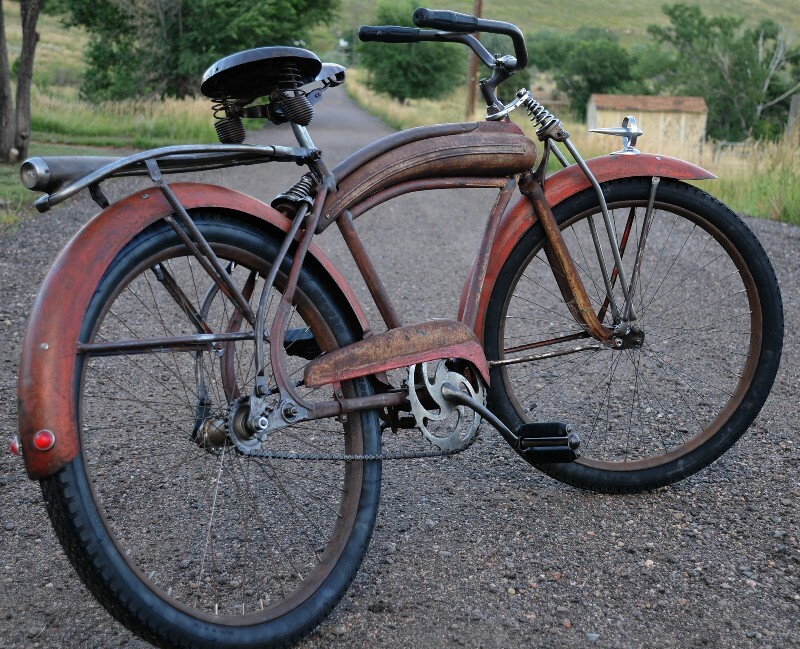 Non Local Sales: You will be billed through Paypal and Shipping is: $300 for this bike to most of the US.